The US Air Force's B-2 Spirit Stealth bomber "Spirit of Arizona" flies over Northrop Grumman Corp. facility at US Air Force Plant 42 in Palmdale, California, on July 17, 2014. 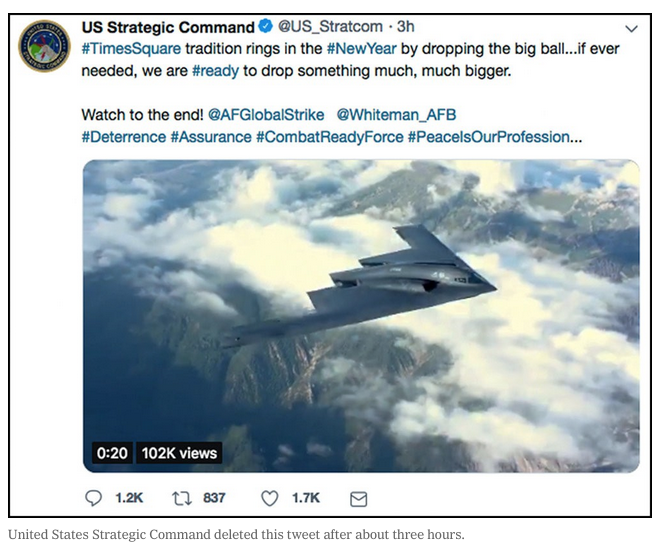 While people across the world celebrated the dawning of the New Year overnight, the US military thought it would be funny to celebrate and make light of one of the things they do best: dropping massive bombs on people and places. The Pentagon’s commemorations of the disastrous Vietnam War have omitted the terrors perpetrated by the US army. Pentagon spending is the Trump administration’s substitute for a true infrastructure program.